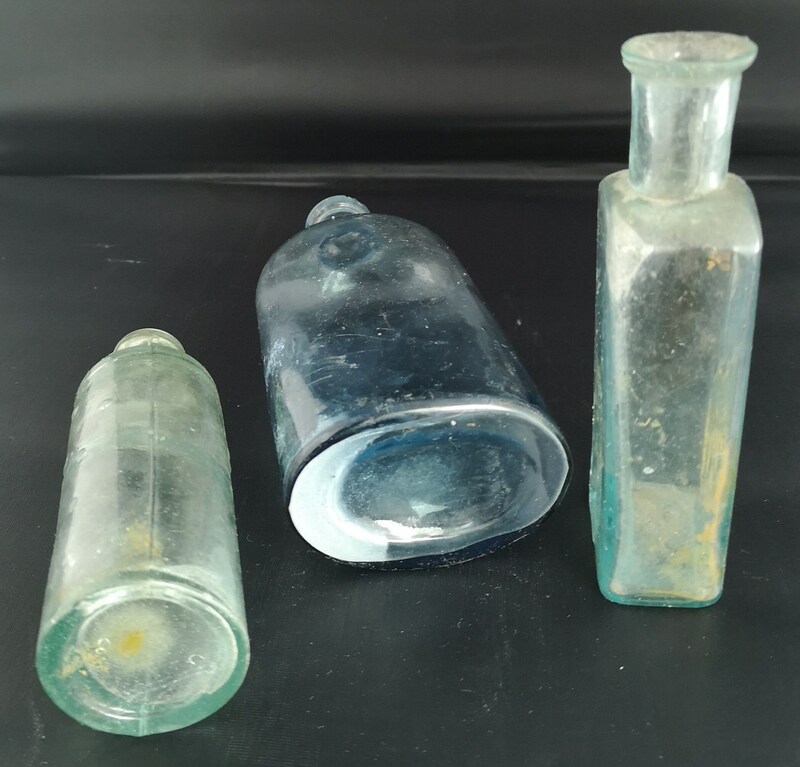 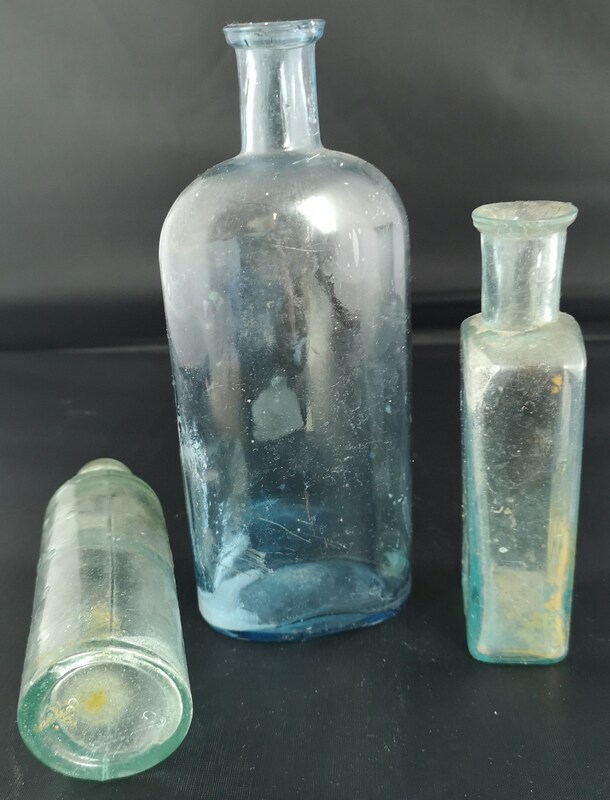 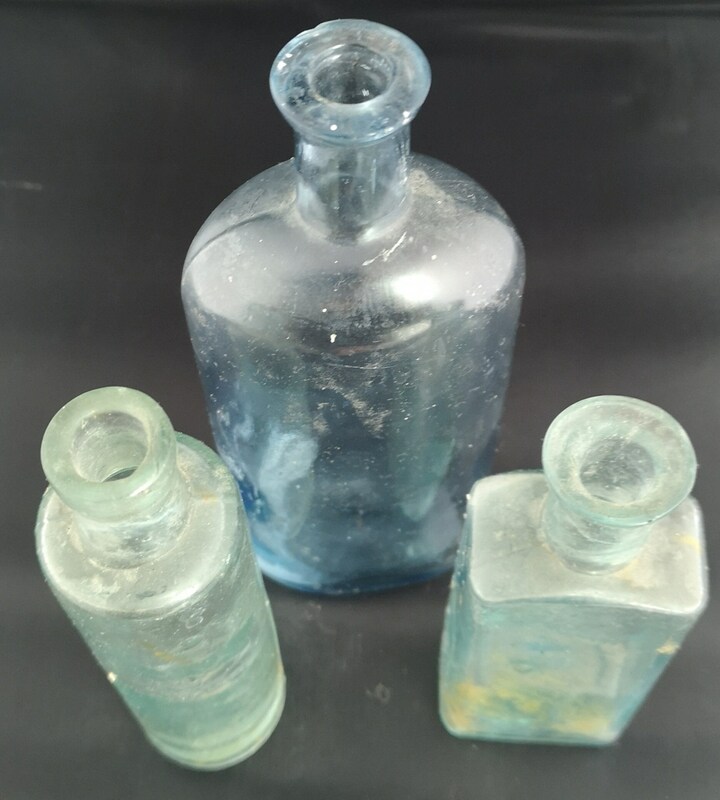 A set of 3 very rustic French Antique glass bottles. 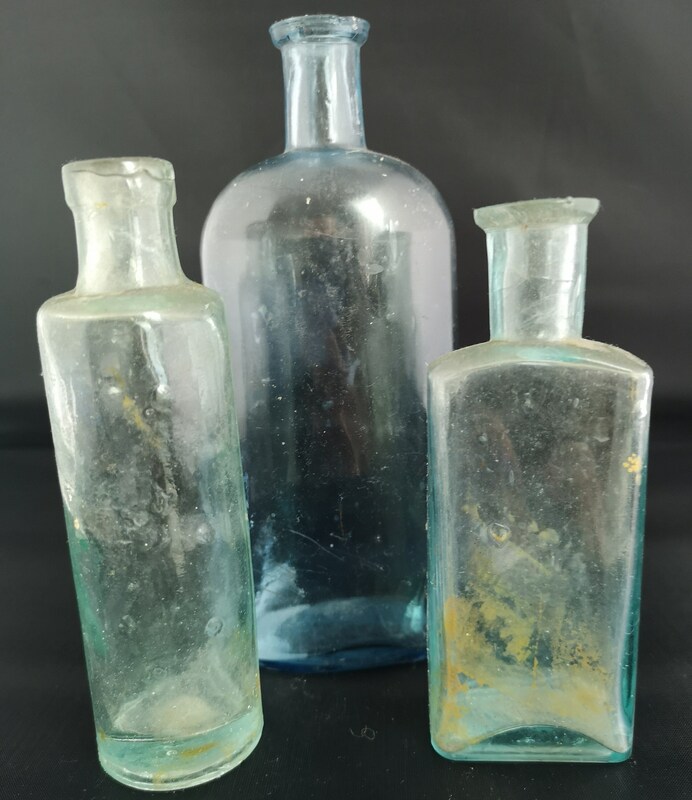 One oval, one round and one rectangle giving the set a nice mixed composition, they also vary in colour from light blue to clear. 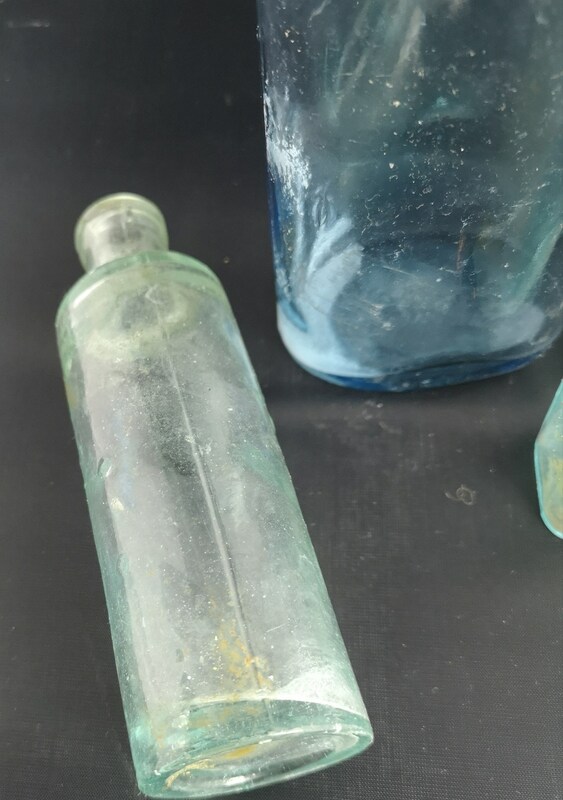 The round bottle is dimpled and they are all well worn and used.